Your transcript and diploma are the key to opening the doors to opportunities. Getting into college, earning a scholarship, gaining employment – even just receiving a discount on your car insurance. Do all of this and more by placing your order. You’ve earned them, these credentials are yours. Whether you’re a parent ordering your high school student’s transcript or a verification company that’s trying to verify a student’s enrollment, start your order today. Just be sure to have the completed student consent form ready for upload, their privacy is our top priority. Don’t stress about where your transcript, diploma or other record type is. 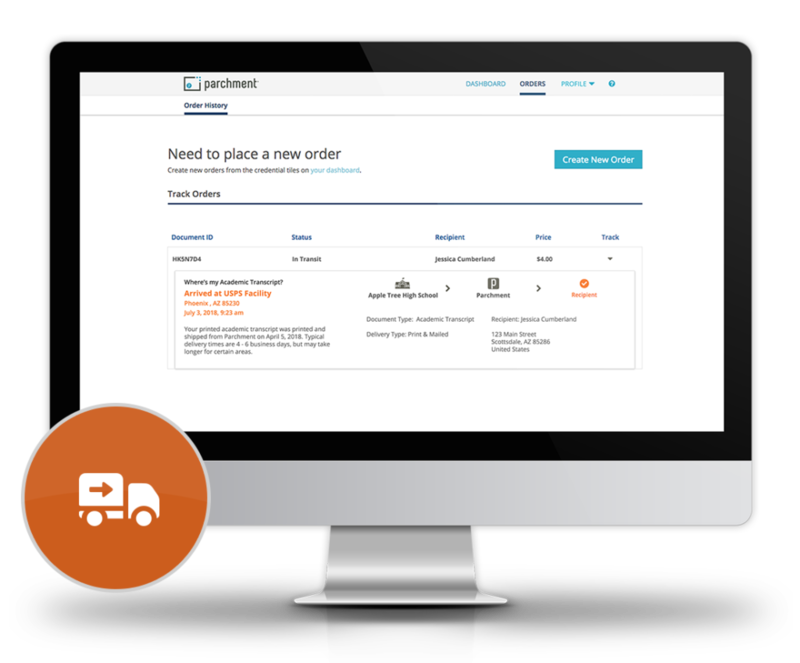 Login to your Parchment account to see real-time status updates so you know exactly where it is or if it’s already been delivered. If the delivery was mail, we’ve got you covered with USPS & FedEx tracking.